This church will seize your attention, from a distance, given its beauty and grandeur. 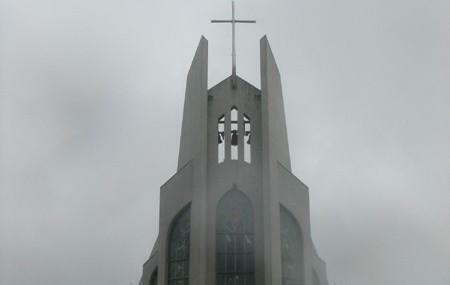 Essentially a Roman Catholic church, this attraction was constructed in the late 1990s. A work of two Georgian architects Oleg Pataridze and GiorgiBaghoshvili, the church was later consecrated by Giuseppe Pasotto in the year 2000. Thus, this is also the latest or newest church in the city. Juxtaposing the city’s architecture, this church is beautiful example of the modern Batumi architecture. The church also makes for beautiful photographs to take back as souvenirs back home. Come and offer your prayers as you bask in the beauty of this lovely cathedral, along with clicking lots of pictures. How popular is Church Of The Holy Spirit? People normally club together Botanical Garden and David Komakhidze Religious Museum while planning their visit to Church Of The Holy Spirit.